Well it’s been a good year on the Mars front I was asked to present the Mars content for the Newport local history exhibition in the Blyth Hall; this was a great learning experience for me (and hopefully others). Toys, boxes and small furniture made by the boys were brought together for display, these and new photographs (certainly new to me) came to light. There are plans to create a digital version of the exhibition. When I know exactly which format and when it’ll be available, I’ll let you know. I’m still doing the Mars talks and two this year stand out particularly. In April I was asked to do a talk on the Frigate Unicorn, Dundee Harbour, and a large and knowledgeable audience attended. As I was sporting a swollen cheek, due to an abscess which had appeared the morning of the talk, I considered cancelling but decided that if they could understand what I was saying I would go ahead with it. It turned out to be a great evening; in fact they asked for an encore of one of the three Mars songs that I perform as part of the talk. While researching my first book on the Mars, I was always fascinated by a photograph I had seen in Stenlake publishing’s, ‘Old Elie and Earlsferry’, an image that shows the boys at ease, more than that, they were laughing and joking, in fact, they were obviously having great fun. This intrigued me, so for the second book, ‘Sons of the Mars’, I decided to look deeper into this part of the boys’ history. Due to the success of the web site (cheers John Fitzgerald) I was contacted by Mr and Mrs Winchester who informed me that they had close links to the Mars. It transpired that Mr Winchester’s grandfather was Mr Burn, the Mars’ Chief Officer. 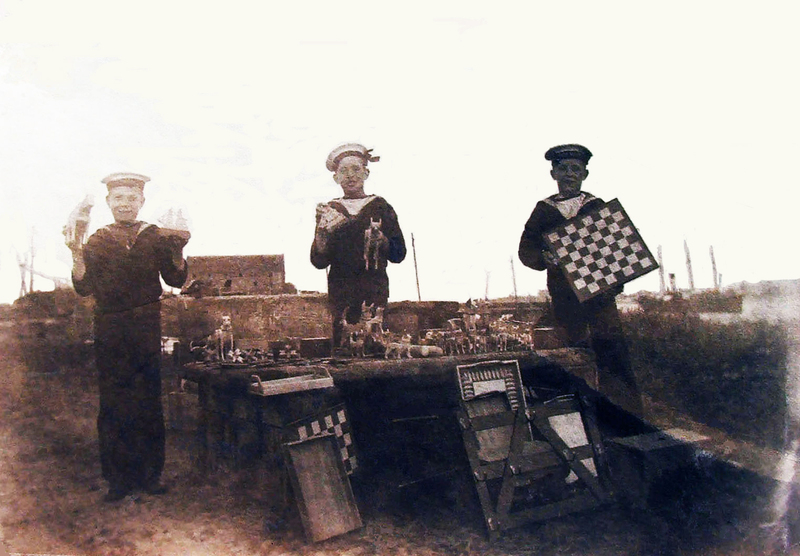 On a visit to their house I was astonished by the Mars memorabilia they had, which included the Mars bugle, the book of plans and instructions used by the staff to teach the boys woodwork and a set of photographs taken in Elie in 1912. The archives of DC Thomson provided the next clue to solving this mystery, providing me with articles written by two ex-instructors, Mr Bowman and Mr Fyffe, which shed fascinating new light on the links to Elie. A few months later, on a bright sunny afternoon, I took a trip to Elie taking the photographs with me, fitting the images to my surroundings - the Toll Green, the beach, sea wall - and, while walking down by the Granary, with no other sound than the wind and the sea lapping the beach and rocks, I felt an eerie echo of the hundreds of boys who must have played, sung and relaxed here in the sun during their holiday. I was looking at photographs of events and walking in the footprints of the boys from 104 years ago, I resolved to bring the boys and Elie back together again, so made up my mind to do a Mars talk in Elie. A friend of mine managed to pass on a copy of my book to Elie Church Historical Society and, on October 13 2016, with my 35th Mars talk, I completed my mission. The night of the talk was dark and the rain had descended in buckets just after 5pm and I was concerned that it would deter a decent crowd. I shouldn’t have worried, as before I began, all the seats were filled and a friendlier and more appreciative group of people I couldn’t have wished for. 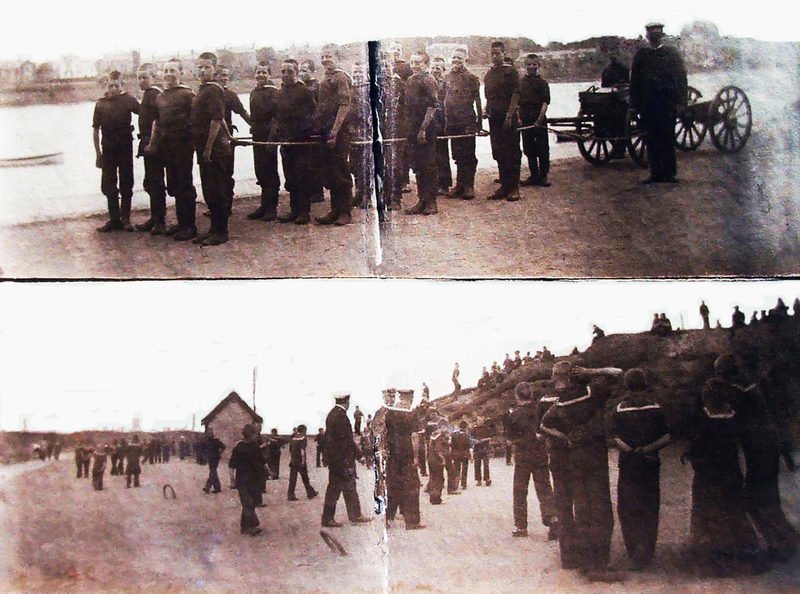 I gave a brief history of the ship then talked about the boys’ annual 20 mile march from Woodhaven to Elie and described their activities while based in the Granary for their 4, 5 or 6 week holiday. Once the talk was over there was a lively question and answer session, which would have gone on much longer, but unfortunately, as I was travelling by bus, I had to curtail my enthusiasm. 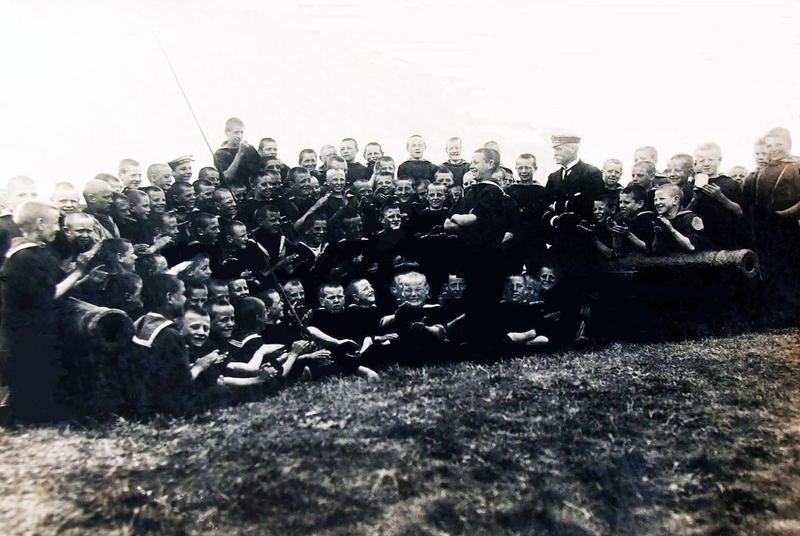 The audience’s genuine delight and surprise at the length of time (1898-1929), the number of boys who attended and, their obvious enjoyment to be away from the ship. In fact, before I ran for my bus, I was asked if they could use two of my songs for their proposed new Elie app, which they are hoping to have up and running shortly - more news of that when I have it. 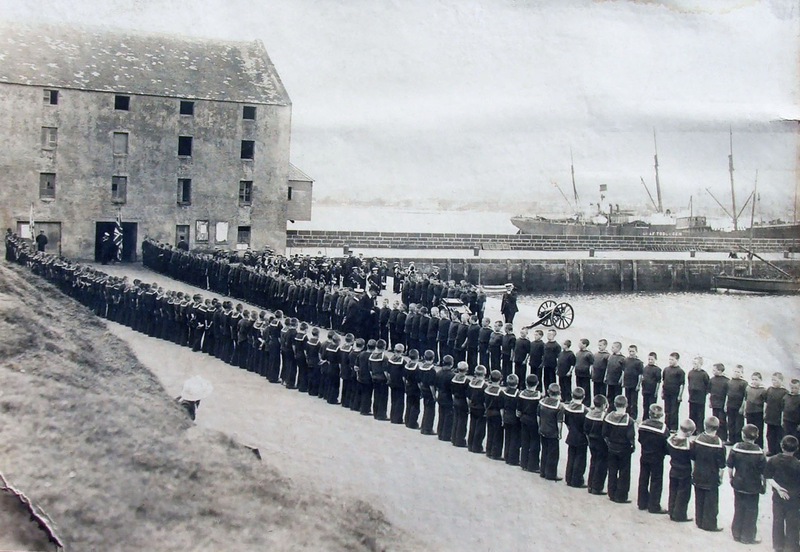 The exciting outcome of the visit is that the good people of Elie are now looking into the possibility of funding and gaining permission to erect a plaque to the boys down by the harbour!